Warm, sunny, summer days mean eating al fresco, be it in the garden, at the beach, at the park or on a day out. 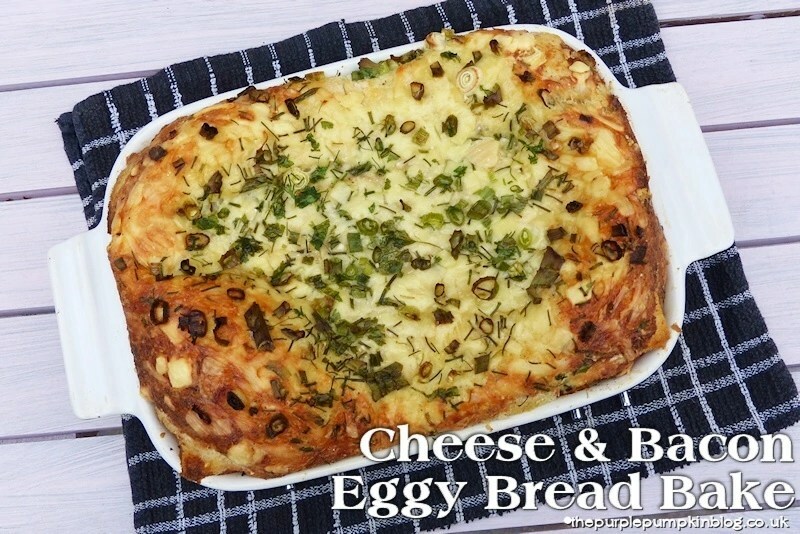 My challenge for this month is to create a summer dish with British Lion Eggs, so I decided to turn a camping favourite – eggy bread – into something a bit more filling that could be eaten as a lunch with a side salad, as a party food (it’s almost like a quiche!) or taken on a picnic. 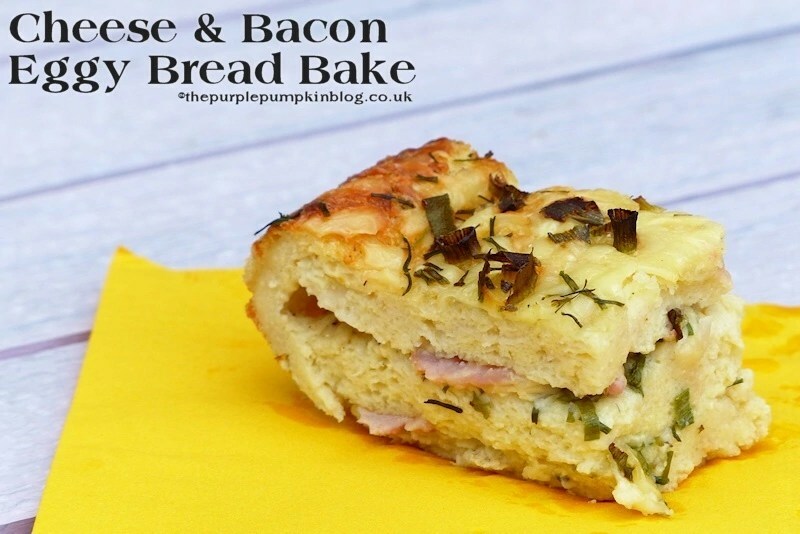 I combined lots of tasty ingredients to make Cheese & Bacon Eggy Bread Bake, which after testing it out on my family was a real hit! I attempted my first full recipe video with the help of my husband as the cameraman – we need practise that is all I can say!!! But I’ve cut it together and here it is, because at least I can show you how I made the dish, and how quickly it can be assembled. I’m not quite Delia in the food presenting stakes, but I’ll improve!! Preheat the oven to Gas 3/160C. Grease the base and sides of the baking dish. Dry fry the bacon in a frying pan for a couple of minutes until just cooked; set to one side. Butter the slices of bread; set to one side. Mix the spring onions and chopped fresh herbs in a bowl; set to one side. Whisk the eggs, milk, dried herbs, salt and pepper in a jug; set to one side. Mix the cheeses together in a bowl; set to one side. Place a layer of bread on the base of the dish - you may have to cut some slices to fit. Pour about a third of the egg/milk mixture on top, pressing the bread to soak it up. Sprinkle one third of the herbs and cheese mixes and one half of the bacon over this bread layer. Add another layer of bread, and repeat the process in step 9. Place a final layer of bread, pour over the remaining egg mixture, pressing the bread down so that the liquid is soaked up. Sprinkle the remaining herbs and cheese over the top and cover with foil. Place the baking dish onto a baking tray and put into the oven for 40 minutes. After that time, remove the foil and cook for a further 10 - 20 minutes until the egg has set (test this by inserting a knife into the centre - it should come out clean) and the top is puffed and golden. Cut into approximately 12 pieces. Can be eaten hot, warm or cold. Disclosure: I have been selected as a British Lions Eggs #ShortcutEggsperts blogger. Check out my other #ShortcutEggspert recipes here.